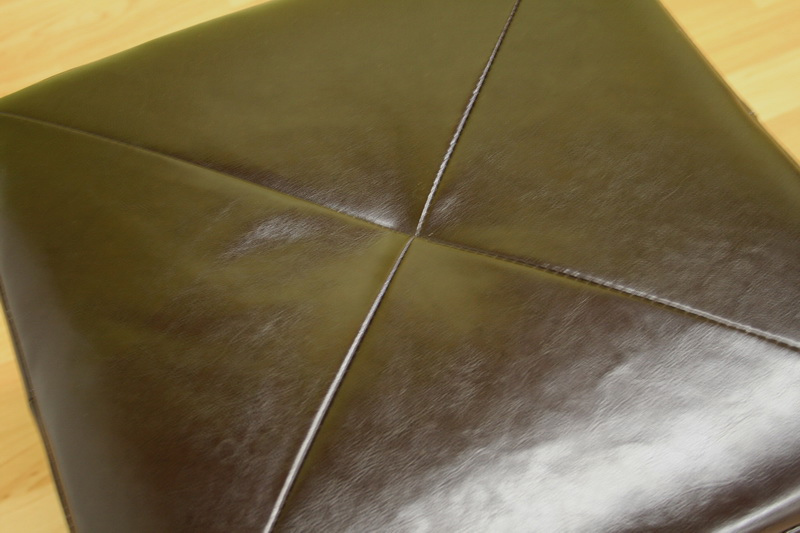 More on the Wholesale Interiors Aric Bicast Leather Ottoman (Brown) ST-20-BROWN-OTTOMAN below. Small, versatile, affordable  this bonded leather cube ottoman in dark brown can be placed anywhere and used for just about anything. From a foot rest to additional seating, from a coffee table arrangement to an accent - the rich look of the shiny leather will enhance your interior. The ottoman is lightly padded with foam and includes small round black plastic feet. This item will arrive fully assembled. 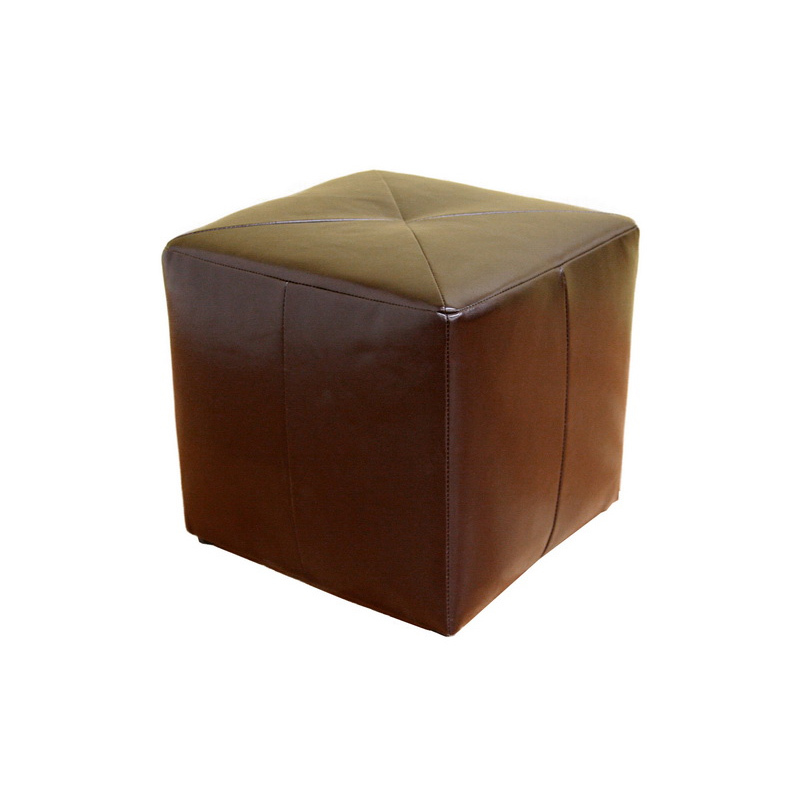 Cube shaped ottoman in brown bonded leather. Constructed with a sturdy wood frame. Sturdy for use as an ottoman or as seating.